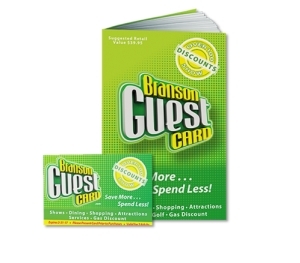 Branson’s must-see show – it’s a display of the most incredible talent on the planet! 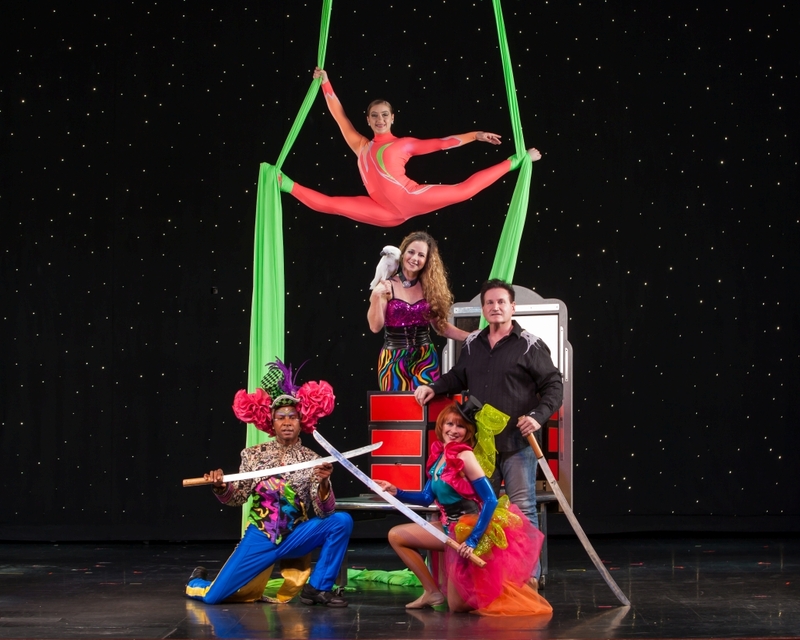 Magic, music, dance, comedy, and acrobatics comes together for Hamners’ Unbelievable Variety Show! "Amazing, Thrilling, everything you want to see in a show!!!" "Beautiful new acts, music, sets, and costumes. 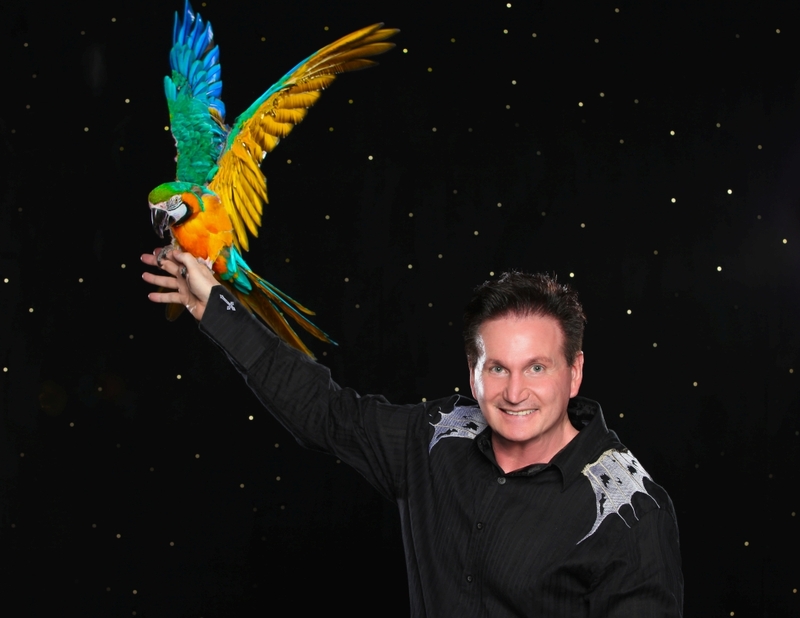 The birds are awesome, and the entertainers superb." The Dancing & Choreography of AJ Heard! An Incredible Variety of Acts! The Magic of the Hamners! The Aerial Acrobatics & Dancing of Mariya Serykh! 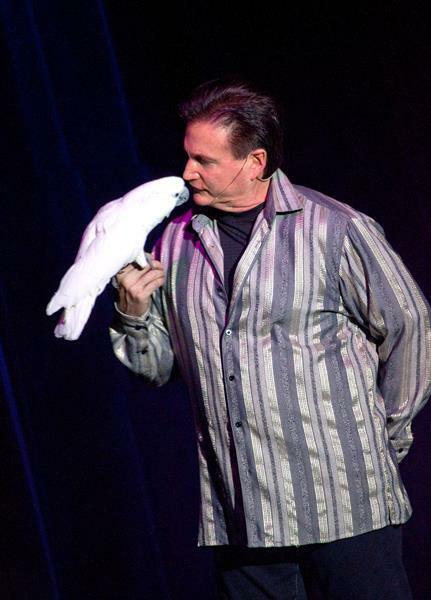 Dave Hamner’s Incredible Bird Magic! Comedian & Impressionist Jeff Brandt! 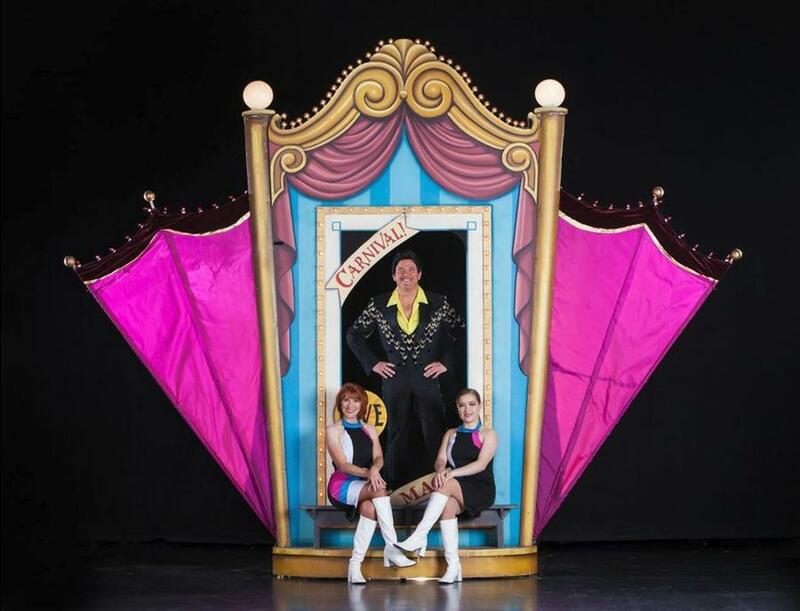 FREE pre-show 15 minutes prior to show time featuring Johnny Lonestar for evening shows! 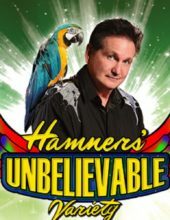 Booking tip: Hamners’ Unbelievable Variety Show is very popular, advance reservations are recommended! If you like shows like “America’s Got Talent” or remember the “Ed Sullivan Show” – then you are going to LOVE this brand-new variety show! Delivering one of the largest showcases of talent ever brought together on one stage, it’s a show that’s fun for all ages! 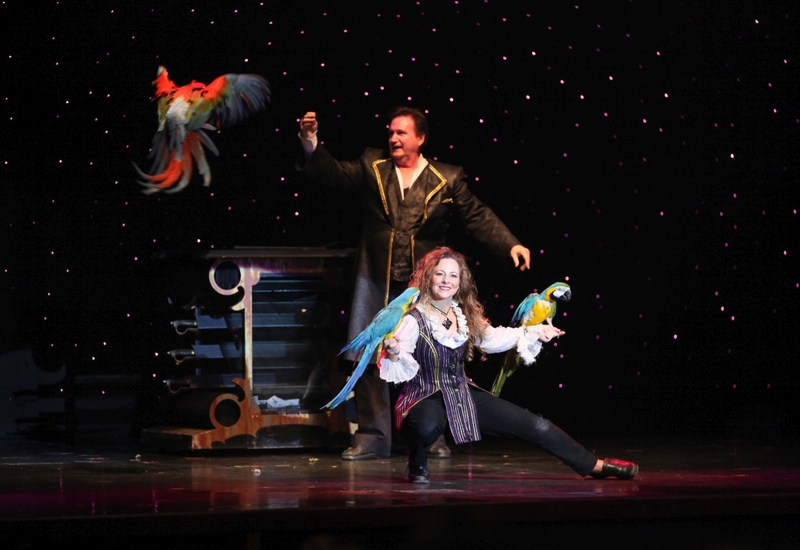 There’s something for everyone in this LIVE stage production that features world-class magic, incredible singing, hilarious comedy, unbelievable impressions, and feats of acrobatics that you must see to believe! Amazing Acts and Performers in the Show! 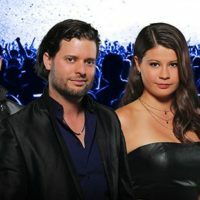 Well-known in magic circles throughout the world, they have appeared in or headlined major shows and productions around the globe. 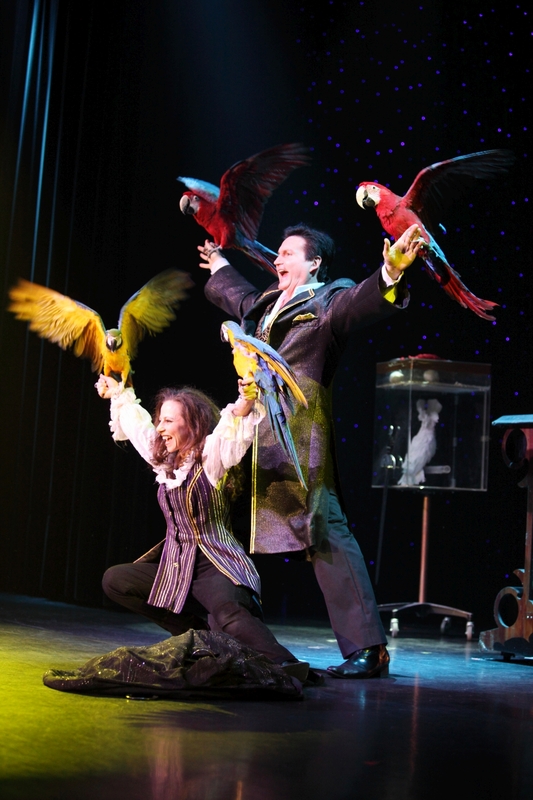 They have been recognized by their peers as being some of the best magicians in the world and received some of the most prestigious awards within the magic community (including the “Bronze Lion Head Award” personally bestowed upon them by Siegfried & Roy). 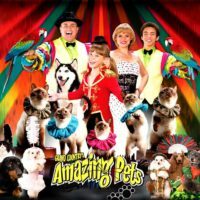 Their one-of-a-kind act has been seen by millions and incorporates beautiful, exotic birds and other large-scale illusions! 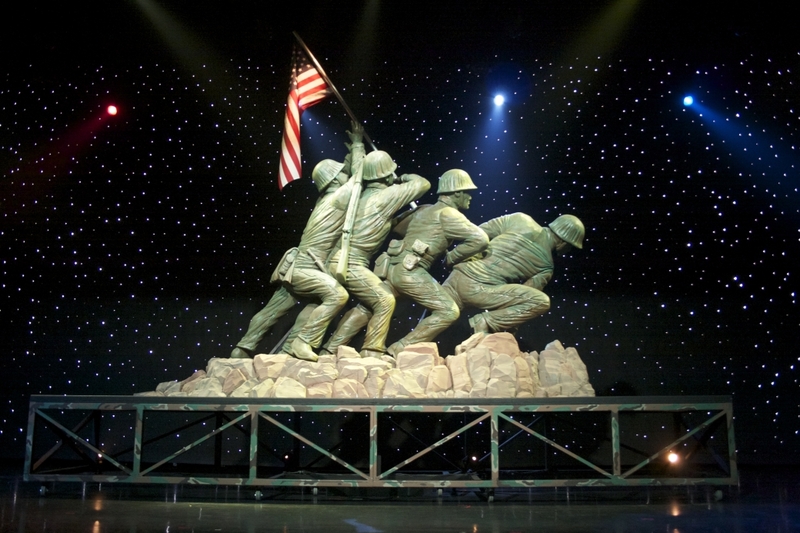 From Branson to Las Vegas, Jeff has toured the country and performed in multiple shows that range from: appearances with Wayne Newton for more than a dozen years, spots on the “Tonight Show,” multiple movie appearances (“Smoking Aces” and “Vegas Vacation,” 8 USO tours, and even had the distinction of bringing his singing impressions to Washington DC and The White House. His long-running feature in Wayne Newton’s shows in both Branson and Las Vegas earned him thousands of fans from around the world! She has performed in nearly every state in the country and appeared alongside some of our generation’s most-loved and popular artists from country superstar Vince Gill, singer Lee Greenwood, to comedian and musician Jim Stafford, personality John Davidson, and Ferlin Husky. Tamra has long-time been a star in the popular Branson show “Magnificent 7” and has been one of the main stars and driving forces behinds its popularity. 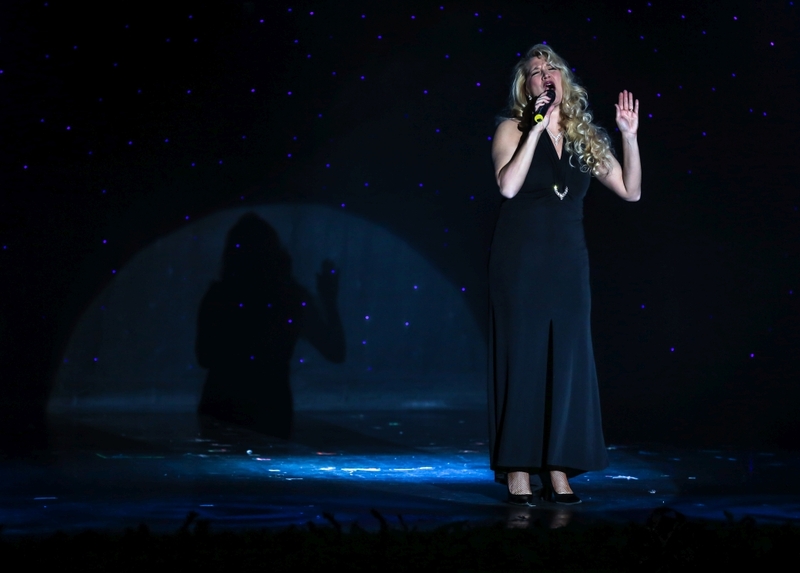 This amazing performer has taken her remarkable act to countries and audiences the world over. Mariya is accomplished in many styles of dance from Ballet to Jazz and has amassed an enviable list of awards that include winning both National and World Champion titles in dance. You may recognize her from her long-running appearance on the Showboat Branson Belle, or as the winner of the National and World Champion in dance! 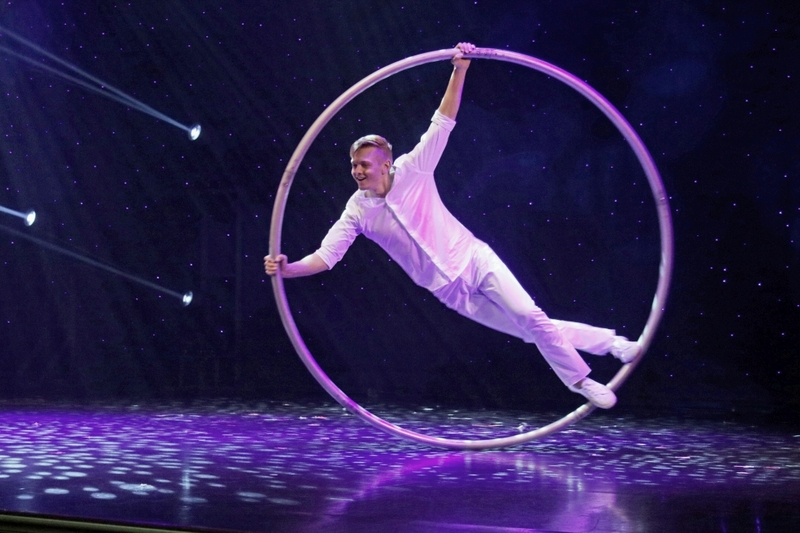 Anthony has been featured in Ripley’s Believe it or Not!, is the USA National Unicycle Champion, and a featured star of many Branson shows throughout the years (including Loving Every Minute, Cirque Montage, and the Mostow Circus). 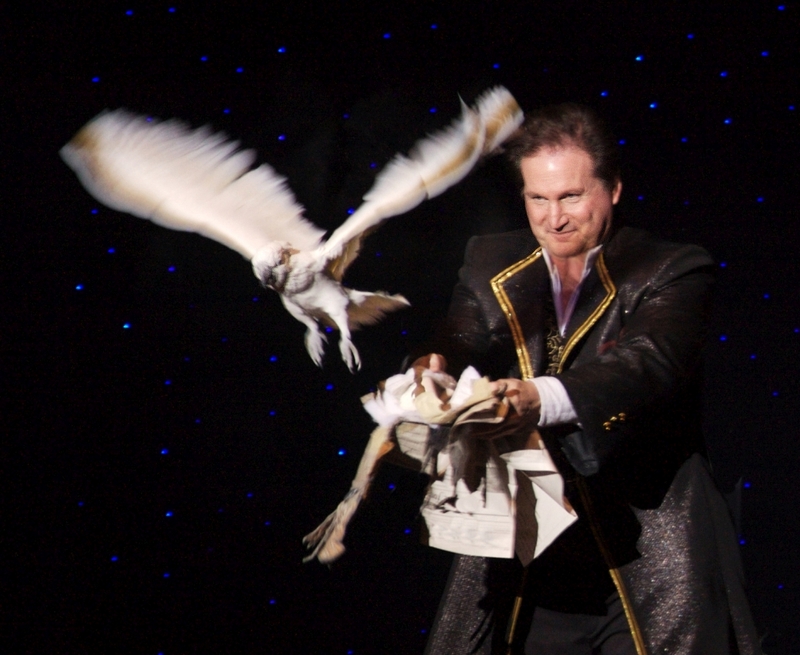 He brings his incredible act to the Branson stage for a performance you won’t ever forget! “Downtown Kenny Brown” brings his amazing dance moves and hilarious comedy to the show! 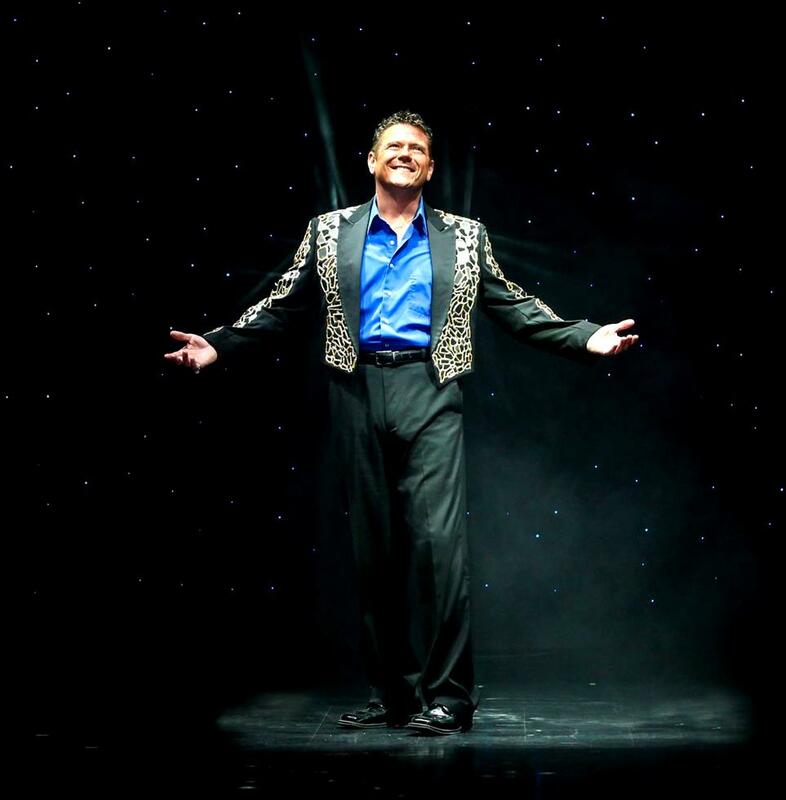 You may recognize him as a featured performer from Jimmy Osmond’s American Jukebox! A Show All Ages Will Love! 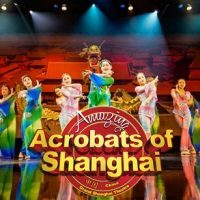 This amazing line-up and a multi-talented crew of singers and dancers come together to deliver one of the best new shows to hit Branson – a family-friendly and fun experience that family and friends will all enjoy! It’s a never-before-seen production that must be seen to be believed! We were fortunate enough to get to see the Dave Hamner Magic Show a couple of weeks ago. It was fantastic! The music was fantastic! The Russian Acrobats were fantastic! The magic was fantastic! And we just had a fantastic time. Mr. Hamner and his family of performers are some of the nicest people we’ve every met. We were also in attendance to the Church Services at this theater a couple of times to. This man knows how to get my attention and I love being able to relate to what he is preaching. Thank You Mr. Hamner for being FANTASTIC! Beautiful new acts, music, sets, and costumes. The birds are awesome, and the entertainers superb. Even on opening night… this was a well polished performance by all! I love how you levitated me on stage! It blew my mind! 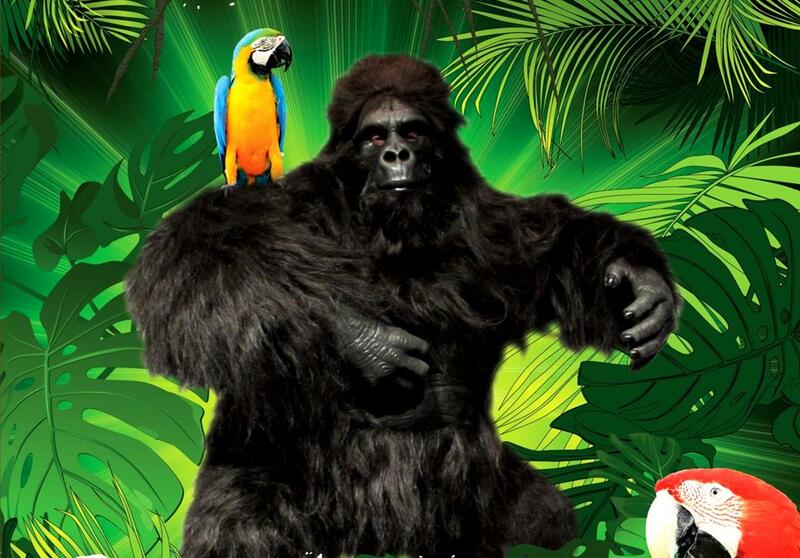 If you’re looking for a variety show, then this is certainly one you would want to check out! 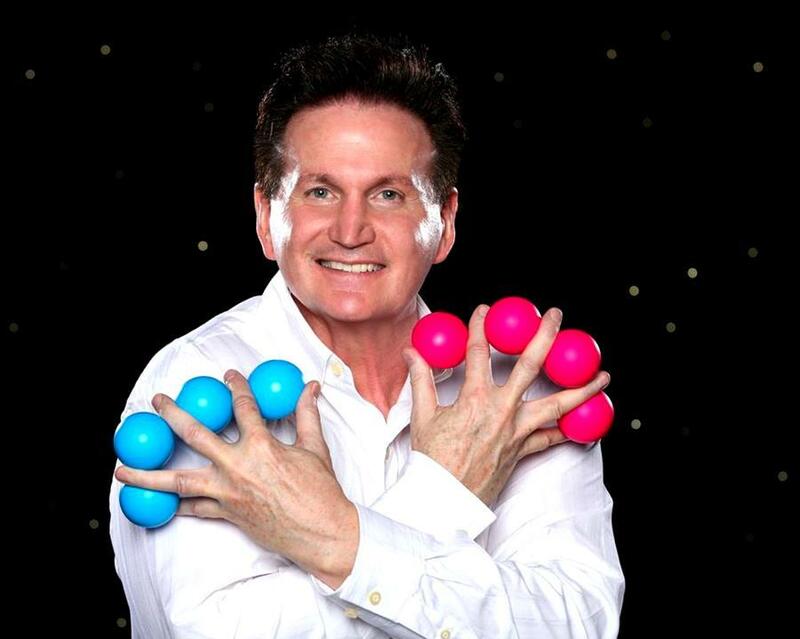 Dave Hamner is an incredible magician and they have a lot of different things in the show from dancing to singing and comedy, it’s a great show for families. Hamner’s Show was fantastic. The birds were most fascinating for my husband. 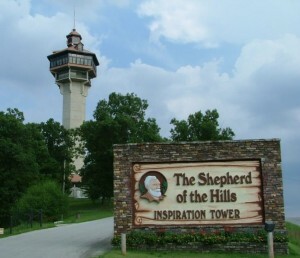 It was one of the shows we took in for the first time in Branson for our 47th Wedding Anniversary and we were truly delighted with the whole staff. Highly recommended. I can sum up my review of this show with one word: AMAZING!! 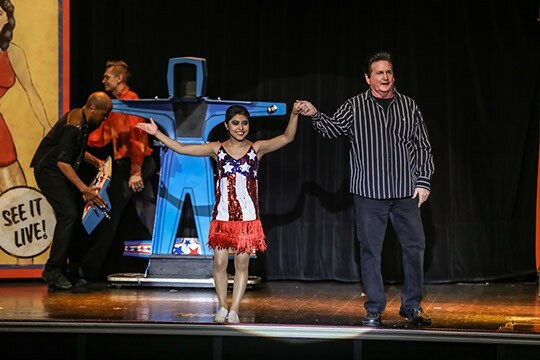 Besides the great illusions, additional performers make for an evening of a variety of great entertainment. Amazing, Thrilling, everything you want to see in a show!!! Very pleased to pass along the word, and return myself soon! Thank you so much for a wonderful time!!! My husband and I seen the show before Christmas and will differently go see this show again. Was absolutely amazing. Super talented and super friendly. Loved how Mr. Hamner honored his dad, our heavenly Father and the military. Thank You For The Music ABBA Tribute was awesome ! We came to the 10:00 am show and had an absolutely wonderful time. We are coming back at 10:00 am Thursday to the Beach Boys Tribute. Love these talented young entertainers. Awesome talented young folks. Love the energy of the show ! Thank You For The Music ABBA Tribute was wonderful ! We enjoyed the complet show. It was very entertaining and was well worth the money.